Welcome to Custom Air & Heat Inc. Custom Air and Heat Inc. is a veteran owned, full-service HVAC provider in Melbourne and throughout Melbourne & Viera, FL. Our mission is to combine expertise and integrity with fairly priced, high-quality equipment to provide the greatest satisfaction to our customers. We’ve built our business primarily through word-of-mouth, and greatly appreciate our valued clients for speaking so highly of us. At Custom Air and Heat Inc., we believe that you should get the most from your heating and cooling system in Melbourne, Florida year-round. So, whether you have an older system that isn’t working like it should or you are looking for a maintenance plan that keeps you comfortable no matter the season, then you can rely on us to help you achieve your residential and commercial heating & cooling goals. When the weather gets chilly, and you trust your comfort to the reliability of your heating system, you don’t want to be faced with a sudden repair. The best way to avoid being left in the cold is through professional maintenance. 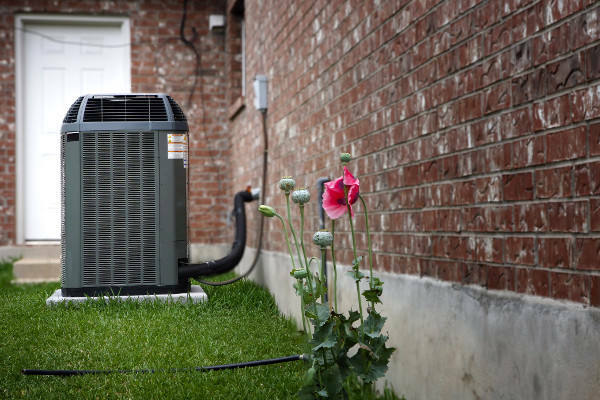 When you call Custom Air and Heat Inc. for service, we accommodate your busy schedule with flexible appointments, arrive on time, and complete all work quickly. Your air conditioner is your line of defense against the brutal summer heat and humidity. Don’t take chances with your comfort. Protect your investment with annual service from our specialists at Custom Air and Heat Inc.. There’s simply no better way to prevent aggravating repairs, promote efficiency, protect the quality of your breathing air, and maximize system lifespan. From minor air conditioning repair to a major commercial heating problem, our technicians are equipped with the right tools and experience to assist you in achieving greater comfort and improved indoor air quality at your home or business. Not only do you deserve the best service experience possible, but when our work is done, you will feel confident that your heating and air conditioning service has provided a long-term solution for you. Keeping up with maintenance of your air conditioning and heating system on your own can be a hassle, so don’t sweat the small stuff! We offer excellent maintenance plans that allow you to enjoy your HVAC system all year long without the hassles, and you’ll have peace of mind that there are experienced professionals at-the-ready when you have a heating or cooling concern. If you choose our team at Custom Air and Heat Inc. to be your heating and AC contractor of choice, you won’t be disappointed. Our owner is North American Technician Excellence, Inc. (NATE)-certified, having verified their heating and cooling knowledge through industry recognized core and specialty exams. We specialize in HVAC installation, preventative maintenance and quality repair work. You can count on Custom Air and Heat Inc. to never underestimate the importance of your time, home, and investment. We recognize that a safe, healthy and comfortable environment protects your family, promotes both relaxation and productivity, and ensures your continued trust in Custom Air and Heat Inc. Contact us today to learn more about our air conditioning and heating installation, repair, replacement and servicing solutions for your home or business in Melbourne. We look forward to assisting you! When you contact us for service, we will always focus on your best interest, deliver personalized attention, and strive for quick and satisfactory completion of your project.